My best friend Melissa had a gorgeous baby girl, Ruby Lyn, on December 8. I was there for the birth and it was one of the most amazing experiences of my life — beautiful, heart-wrenching, crazy and happy in the span of an insane 22 hours of labor. What can I say — Melissa is a champ! And Ruby is just perfect. This was the first meal I made for Melissa after the birth: Chicken in Lemon Cream with Penne. My goal was to avoid onions (quite hard to do, actually), include some protein and have it be a pretty simple meal so I could spend more time loving on Ruby than cooking. 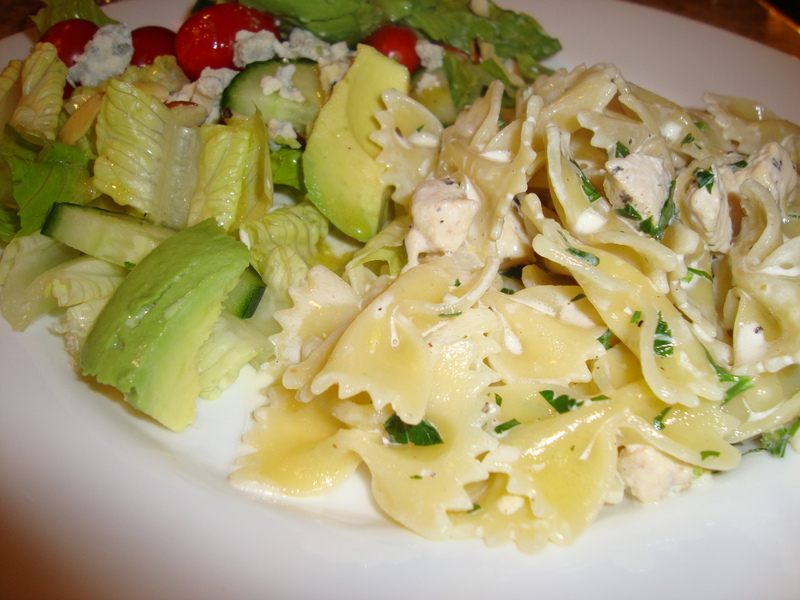 The recipe is courtesy of Giada De Laurentiis, from her Everyday Pasta cookbook. It’s so simple, but the sauce, a combination of lemon zest, cream and a hit of spice from cayenne pepper, is full of flavor. If you think lemon on pasta is weird, you have to give this a try. The acidity you typically get from tomato sauce is transformed in the lemon cream, and it’s lighter and more refreshing. The hit of more lemon juice and a sprinkling of parsley at the end add even more brightness. This is so simple I don’t even have any tips! I served it with a simple green salad. Have at it! Bring a large pot of water to a boil, season with salt. Add the pasta and cook until tender but still firm to the bite, 8 to 10 minutes. Meanwhile, heat the oil in a large, heavy skillet over medium-high heat. Season the cubed chicken with herbes de Provence, salt and pepper. Cook the chicken until golden brown, about 5 minutes. Using a slotted spoon, remove the chicken and set aside. Pour off excess oil from pan. Add the chicken broth to the pan and cook over medium-high heat, scraping up any bits with a wooden spoon. Add the cream, lemon zest, and cayenne. Reduce the heat to medium-low and simmer for 10 minutes. 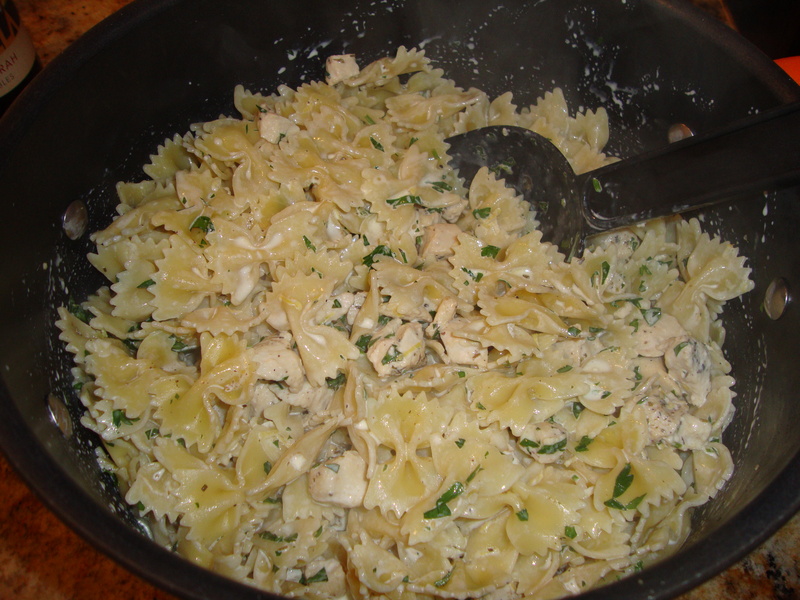 Add the pasta, chicken, 1/2 tsp salt, 1/4 tsp pepper, chopped parsley, and lemon juice. Toss to coat the pasta and chicken with the sauce and serve. 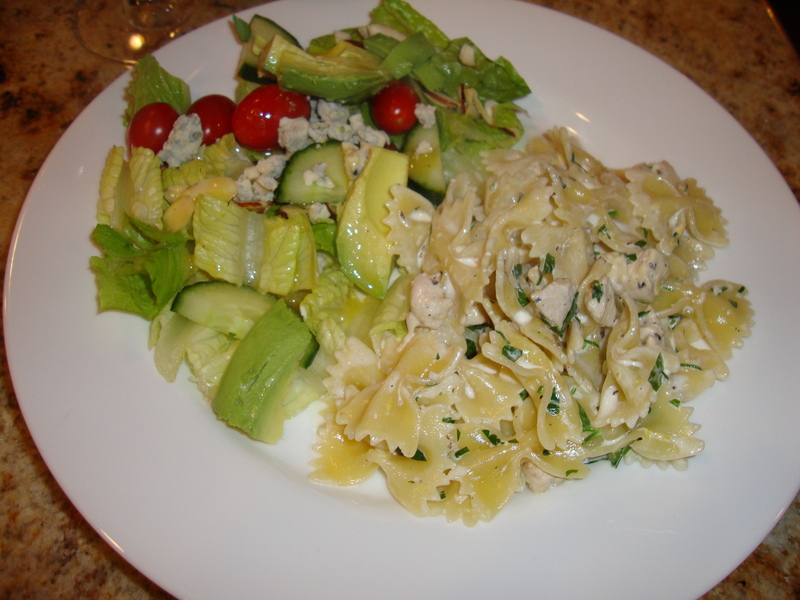 This entry was posted in Recipes and tagged chicken, cream sauce, lemon, pasta, penne by Tricia. Bookmark the permalink.